Shortly after the release of the Switch, Nintendo stated that they had a renewed commitment to not only obtaining third-party support for their record-breaking hybrid home/handheld console but with a specific focus on providing a platform that was particularly friendly to indie developers and their projects. For the 2019 release year, Nintendo has revealed a plethora of both new and big-name indie titles – dubbed “Nindies” – cued up as of their most recent Nintendo Direct stream. 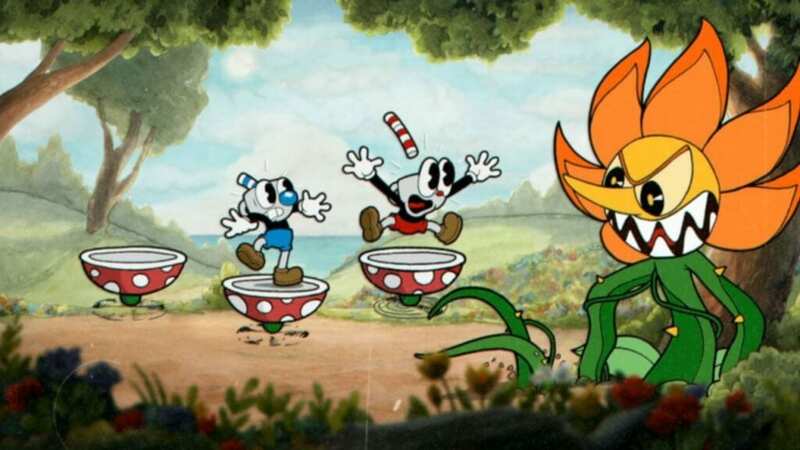 Not wanting to leave their early-morning viewers drowsy for the remainder of the Nindies showcase, Nintendo kicked things off with some caffeine for us by revealing the arrival of none other than the jazzy action platformer Cuphead to their system. That was one way to add a shot of espresso to our morning! The formerly Microsoft exclusive which dazzled and frustrated players all over will bring it’s retro cartoon feel to Switch owners on April 18th! Cuphead is a game renowned for its Steamboat Willie aesthetics and big band/jazz soundtrack, and infamous for its unparalleled level of difficulty, and whether you’re playing solo or with a friend controlling Cuphead’s buddy Mugman, you’re certain to be in for a challenge that will test your reflexes and patience in equal measure. Just try not to break anything if you’re playing in public or you’ll be stuck with an ironic mug shot. Next up on the Nindies docket was a new title, Overland, a post-apocalyptic top-down strategy game featuring turn-based, squad-focused strategy gameplay. You’ll be faced with difficult choices about how to spend your time, whether healing or aiding an ally, searching for vital supplies, clearing out mutated creatures, or saving your dog (this is the most important option, clearly). Adding an additional facet of difficulty to be concerned with, all roads, characters, and quests are randomly generated, making each subsequent playthrough unique from the last. Overland will be available later this fall. What do parkour, bullet time, and a talking banana have in common? About as much as you’d expect – nothing at all, but they’re a trio to be reckoned with in the run-and-gun, side-scrolling game My Friend Pedro. Pedro is the name of, and I quote, a “self-aware banana.” No, you didn’t read that wrong; trust me – I watched it. Pedro is your guide, your potassium-based Navi if you will, through the many action-platformer levels. Your player-controlled character uses parkour and ballet-like movements to tumble over and around enemies and obstacles, and a set of pistols to fire at said enemies and use objects in the environments to your advantage and your enemies’ destructive end. This zany title will drop as a Switch console exclusive this June. Neo Cab is an emotionally-driven, narrative game wherein you are a rideshare driver who must reunite with and protect your best friend, who’s wanted and being stalked by an “omnipresent megacorporation,” Capra. In a dystopian city overrun by automation, you are the last human driver and must manage your service rating and emotions, and choose your route and who you take on as passengers amongst a colorful cast of characters. Neo Cab will arrive for curbside pickup this summer. The next title showcased beautiful cell-shaded visuals and dynamic lighting, which is appropriate to its name. In The Red Lantern, you take control of a young woman who, upon realizing she’s unable to find success through other means, decides to become a dog sled racer in the Alaskan wilds. Featuring hundreds of potential events, this story-driven work of art lets you maintain and tend to your dogs, patch up your own wounds (just in case an unbearable situation happens), and hunt for food to survive. The game also makes use of the Switch’s gyroscopic motion controls should you choose to play in handheld mode. The Red Lantern will bring deer, dogs, and bears (oh my!) to the Switch eShop later this year. 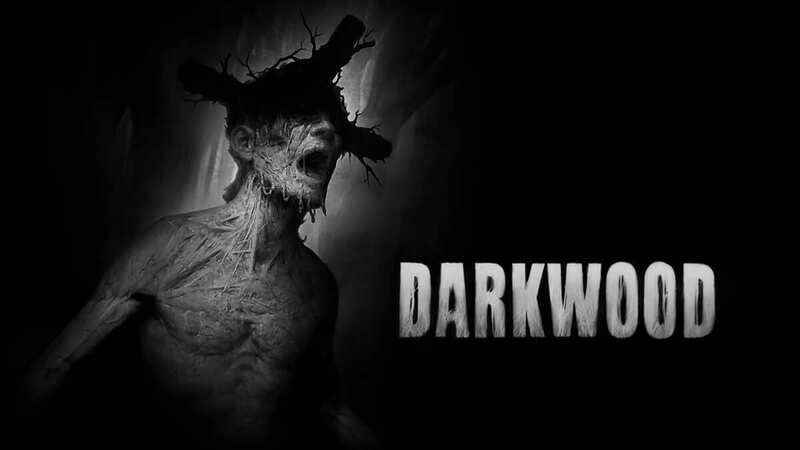 Taking place in Soviet Russia, Darkwood is a methodically-paced horror game in which players will have to find and craft resources, manage their skills and attributes, and fortify their bunker in order to protect themselves from the stuff nightmares are made of. The procedurally-generated world ensures that you can never be truly prepared for what may lay in wait around the next corner or behind the next tree this May. Katana Zero puts you in control of an expert ninja assassin in a retro action-platformer. In the game, you will slice and dice your way past obstacles and enemies (who, I suppose, are obstacles of sorts) and cut them down to nothingness. Through the help of special abilities and heightened senses (thanks in part to… medicine administered to you by your shrink… that reads about a 70’s as it sounds), you’ll be able to precognitively react to many oncoming attacks, which is important because you can be taken out in a single hit. Sip some hot tea, and take a psychotropic drug, apparently, in Katana Zero on April 18th. Thematically jumping forward a decade, the next Nindie game uses Unreal’s engine, and between its visuals, music, and even its title, this game is about as 80’s as you can get. In Rad, you’ll wield a big ol’ bat and beat down mutant creatures in a wasteland reminiscent of Mad Max. Did I mention that you can also mutate into various creatures and lay a freakish smackdown on your foes? Now I did. The game looks like the visual theme of Borderlands mixed with the gameplay style of top-down dungeon crawling RPGs like Diablo or Skylanders (ya’ know, if all of the Skylanders were on acid or something). So dust off your Whitesnake and Van Halen albums, slap a hazardous materials bumper sticker on your car and get ready for a hellacious ride, dipsticks, because Rad will be rocking its way onto the eShop this summer. Righteous. We’ve had some pretty gnarly combinations thus far, so why stop now? Creature in the Well is a top-down, action-adventure hack n’ slash with (wait for it) pinball elements. Yeah, I’m not even surprised anymore, honestly. A monstrously large creature has trapped the local townsfolk in a perpetual sandstorm. It’s your job to fight your way through a compound made up of eight dungeons with over fifteen unique weapons that alter how you interact with the environment and activate a giant weather machine that can restore the land before it’s too late. Stave off annihilation when Creature From the Well emerges this summer! There’s something to be said about a warrior who wears the head of a fearsome predator on his head like it’s a ball cap of his favorite team, and in the next Nindie title, that’s exactly what the protagonist does. In Bloodroots, you take control of Mr. Wolf and use your environment, various objects, and even other enemies to beat the ever-loving pulp out of your foes. Build up combo multipliers and avoid death in the western wilderness this summer! Pine was another standout Nindie on its visual presentation and quality. In it, you are a young man in the savage wilds and must protect yourself from other tribes made up of anthropomorphic moose, lizards, and foxes. You must craft, scavenge, harvest, and fight to survive and avoid being the bottom of the totem pole (or perhaps the bottom of the food chain; same difference really) this August! Less in-depth reveals came in the form of Super Crate Box, Nuclear Throne, Lambeer Arcade which features a growing collection of indie arcade-inspired titles beginning with Ultra Bugs, which is a Space Invaders/Geometry Wars-esque space shooter, Swimsanity, a multiplayer underwater shooter that allows up to four friends to participate in a sprawling aquatic adventure featuring deep-dive mayhem (I don’t do sharks, so this one is gonna be a hard pass for me). The sequel to one of my favorite Nindie titles from last year, Blaster Master Zero II is coming to the Switch with a plethora of new abilities and weapon systems to blast away at enemies, in a combination of tank and on-foot action, available now! Fans of the sci-fi series Stranger Things may appreciate the next title, aptly titled Stranger Things 3, which takes place during the events that will tie into the upcoming third season of the popular Netflix show. You’ll uncover mysteries, solve puzzles, and fight to survive in a story that will delve deeper into the plot of the new season in this top-down perspective hybrid adventure title. The game will be creeping its way onto Switch consoles the same day as the new season drops on Netflix, July 4th, because nothing says “’Merica” like a creepy story. In not atypical Nintendo Direct fashion, the final “surprise” reveal of the stream showcased a Nindie title that initially had me extremely confused. I saw a young woman protagonist in an equally familiar overworld that had me wondering if I was truly seeing an “indie” title or if some developer was attempting to pull a fast one. It looked like the world was copied and pasted from The Legend of Zelda: A Link to the Past, a feeling that was accentuated only by the arrival of the aforementioned SNES title’s overworld theme. What came next shocked the rupee-loving heck out of me; appearing alongside the shovel-wielding character was none other than Link and Zelda of the Legend of Zelda franchise. 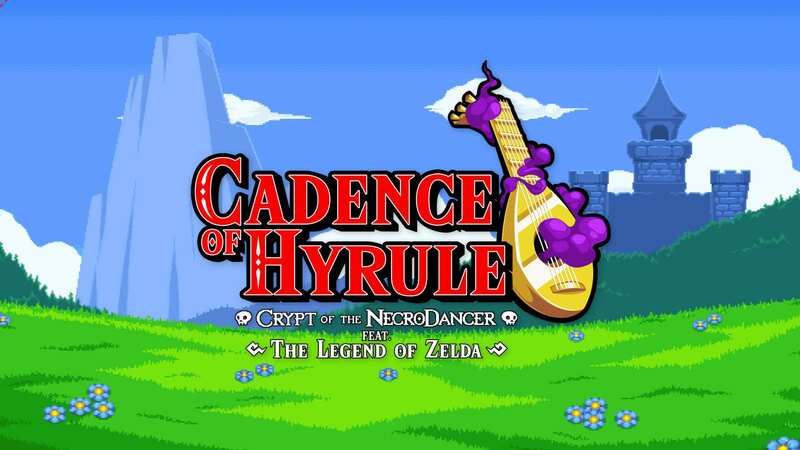 The game is The Cadence of Hyrule: Crypt of the Necrodancer Feat. The Legend of Zelda. And yes, that is an obscenely long title for a video game – it’s this thing that Japanese developers love to do, but I have to say, I can’t remember the last time I was this hyped for an indie title, aside from when Shante Half-Genie Hero was announced. The gameplay looks so Legend of Zelda that I could cry (if you can’t tell, that’s my favorite game series, so yes, I will turn into a baby over it), with all of the puzzling and action that is concomitant with a game under that name. So there you have it! Our first look at 2019’s year of Nindie titles! Hopefully, we’ll only see an uptick in these, both in quantity and quality, as the year progresses and more young developers will be encouraged to jump onto Nintendo’s platform, and the historic video game giant will be equally as encouraged to support said small development teams into the foreseeable future.